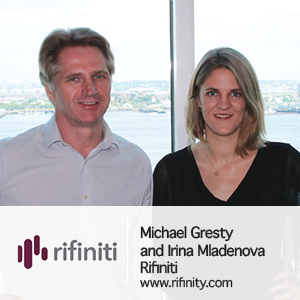 Rifiniti is a software company based in Boston, MA, and Sofia, Bulgaria. Rifiniti’s Optimosm is business intelligence SaaS for enterprise workplace and workflow optimization in global Fortune 1000 companies. Rifiniti was selected as a 2013 MassChallenge finalist, one of 26 from over 1,200 original applicants, and was a YEI-France winner in 2013. To date, the company has raised over $2.26MM in equity financing. Rifiniti is an IBM Global Entrepreneur and an active CoreNet member.